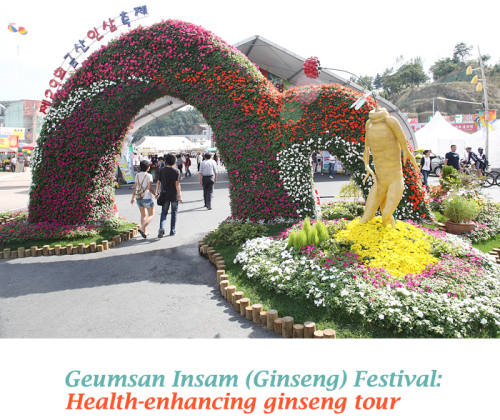 Marking its 34th year, the Geumsan Insam (Ginseng) Festival (Sep 19 to 28, 2014) has organized various programs to promote the superb quality of this ginseng, a special product of Geumsan-gun. Over the years, as ginseng production became more stable, more and more people consume ginseng on a regular basis to maintain their health rather than eating it only when they fall ill. This has led to a wider variety of ways ginseng is consumed, which includes extracts, food, and ginseng tea. Ginseng is also gaining more popularity overseas for its medicinal benefits.